Orlando, FL Free Treatment Centers, Affordable Rehab Centers. 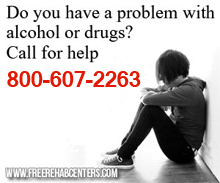 Call 1 800-607-2263 and speak with an alcohol or drug abuse counselor. FreeTreatmentCenters includes more than just free treatment centers for substance abuse and drug and aclohol related addiction. We have researched many of the free, sliding scale, discounted, low cost, Medicaid sponsored local treatment centers. Many are non profit drug and alcohol treatment facilities such as faith based organizations. Call 800-607-2263 to speak with a counselor now. The Center For Drug-Free Living is committed to providing individuals and families within our community the skills to achieve and maintain healthy responsible lifestyles.Detoxofication facility for alcohol/substance abuse. Youth and adult services. Free Treatment Centers is not associated with any government agency or nonprofit organization. We list substance abuse treatment centers through-out the US. Copyright 2019 by Free Treatment Centers. All rights reserved.